Gadhong Tenzin Wangdak was born in 1937 at Gadhong in Lhasa, the capital city of Tibet. 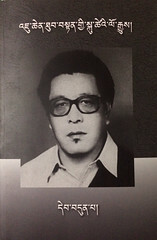 He had been a civil servant in Tibet before coming into exile in 1957. He studied in St. Augustine school at Kalimpong, India. He was initially posted at the Department of Education, serving at the translation desk from 1963. In 1964, he was transferred to Home department after being appointed as the administrator of the Handicraft Centre at Odisha Tibetan settlement and subsequently became the settlement officer of the settlement in 1967. He was also a drafting member of the Staff Guideline booklet in 1970. From 1972, he served as the Secretary of the Kashag Secretariat. In 1980, he was appointed as an Assistant Secretary to the Private Office of His Holiness the Dalai Lama. He retired from active administrative services on 15 February 1986. 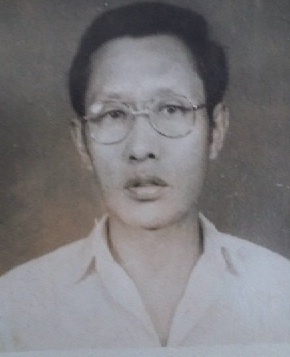 Till his demise, he continued as the official medium for state oracle Gadhong since assuming the role on 25 July 1987. He passed away on 9 August 2015 around 10:51 AM after a prolonged illness at the age of 78.